Look. I get it. The Chocolate City has changed. 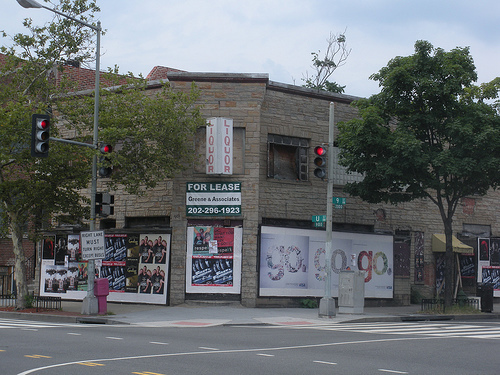 It isn’t what it used to be, and I don’t know what’s worse: the fact that D.C. was once so marred by murder that it was nicknamed Dodge City or that there is now a hipster bar on U St. that holds the same name. Point is, there is a certain cultural vulturalism, an African American historical “swagger-jacking,” going on on U Street. It’s an inappropriate tradition of sorts that has rent increasing, black folks moving further out — sometimes by choice, sometimes not — while a faux black ethos remains. As a white interloper and first-wave gentrifier, I was never an official citizen of Chocolate City. But I’ve been here since 1977, and spent a lot of time in Logan/Shaw/U Street before it cost a million dollars to live there. And there was something – sometimes very good, sometimes terribly bad, always very different – about the city back then. To the extent that these establishments and their customers are out to have a beer and think more about that city and those times than they might otherwise: cheers. To the extent that people are under the illusion that they have become retroactive citizens of Chocolate City, I’m with Crockett Jr. And, for everyone, recalling what once (and still does) make the city unique and – God help me for using this word – soulful, and trying to preserve and be a part of it now, in our own lives, is far more productive simply idolizing the past.